Finest quality handmade cabinets, our designs can be adjusted to suit your individual requirements or alternatively we can custom-make a piece of furniture to your unique specifications in either a traditional or contemporary style. 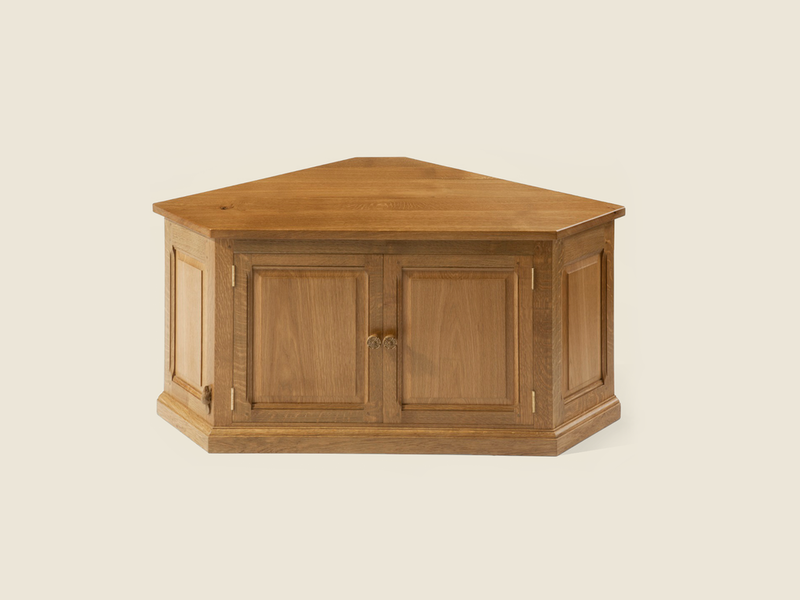 The furniture is shown in English oak and we offer a choice of other hardwoods. We use ammonia to fume the oak furniture, which allows to achieve a range of colours from natural, through medium to dark oak. You may choose between straighter grained timber or the beautiful patterns and knots found in "burr" and "pippy" oak. Optional extras can include wrought iron fittings, turned drawer and door knobs and leaded leaded lights.